The smartphone together with an internet connection is a great source of entertainment. You cannot get bored if you have these two combinations with you at the time of traveling or while waiting for someone at the airport. The smartphone can keep you engaged for hours as there are lots of things you can do with your smartphone. For example, if you are a game lover there are tons of gaming apps available for the smartphone, however, if you like watching movies or TV shows on your smartphone, there are not many options available if you are looking for free options! But in this post, I’ll discuss an FREE app that will let you watch Movies and TV shows on your smartphone for FREE. Yes, this app once installed on your smartphone gives you free access to latest movies, TV shows, podcast. *This post is for educational purpose only. Strictly follow the guidelines & laws applicable to your country. We are not responsible if anything goes wrong. This app isn’t available in the app store because of app store’s terms and conditions. Hence, we will have to download Mobdro apk file and install manually on the devices. You must be wondering which app allows you watch free movies, TV shows and even let you download the movies for free? The app we are talking about in this article is MOBDRO! Yes! Mobdro is an online TV and movies streaming app that allows you to watch latest movies, TV Shows on your smartphone or the tablet. The app is available on various app download websites but not on Google Play store due to Google’s Terms and Conditions. So you cannot head over to Google Play on your smartphone/tablet and search for this app. You will have to download Mobdro APK and install it manually. If we talk about the features of Mobdro app, there are plenty of them and I’m sure these features are something you wouldn’t get in any other app including the paid ones. Watch Latest movies and TV shows as Mobdro continuously searches the internet for the latest content. Easy to install, navigate and use. Listen to Podcast for FREE. Mobdro supports Chromecast, so you can watch movies on the bigger screen. These are the features that you will get once the app is installed on your android devices however with simple tweaks you can add more fun to your entertainment. For example, with BlueStacks, you can get Mobdro on PC as well. Allow Android device to download and install apps from other sources than Google Play store by going into settings. Open a browser on your Android device and download Mobdro apk. Tap Mobdro apk file and it will start the installation process. Once the installation is done, you will see a shortcut on Home screen. Done! 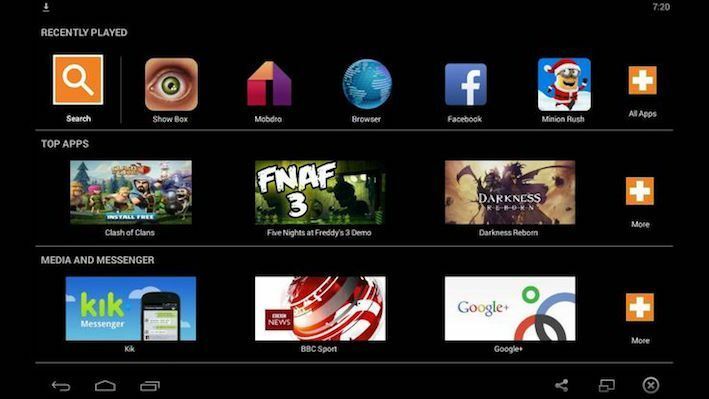 Enjoy unlimited movies and TV shows streaming on your android device free of cost. Go to Firefox and search for “BlueStacks” android emulator. There is hell lot android emulator on the internet and you are allowed to use any of these provided it has the ability to run apk files. After Bluestacks is downloaded, install it by following the installation wizard. Go to firefox again and search for Mobdro apk file. You can easily find it on the Google. Now, right-click Mobdro apk file and open it with Bluestacks. It will start Mobdro installation process. Let the installation process complete and once it’s done, you will have the shortcut on the home screen and that’s all! You can now use Mobdro on PC. Before you start using Mobdro, make sure your internet connection has good speed and it doesn’t’ get disconnected because Mobdro continuously searches for the content from the internet and let you stream video of your choice. There is plenty of alternatives to Mobdro app but I didn’t find any alternative better than Mobdro because of the features it offers. The developers of Mobdro app keep on updating this beautiful app and whenever a newer version if available, you can freshly download the apk file and install manually or you will have the option to update the version within the app itself. Sunil Singh likes to learn about latest technology and share it with people. He has written hundreds of articles and how to guides on latest technology during his career span of a few years. In this spare time, He likes to play games and spend time with his family. I knew not about Mobdro but it’s really satisfying, it has a lot of free movies to watch. I now enjoy watching Movies all the time.